Successfully saved Instant Pot Pho to your Calendar. You can also save the ingredients to your Grocery List. How to quickly (and easily!) 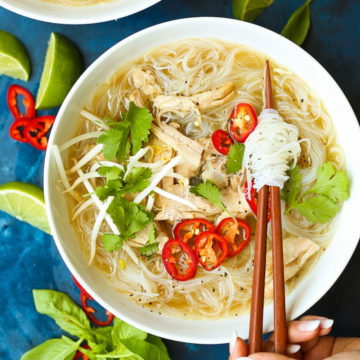 make restaurant-quality pho right at home in the pressure cooker in less than 1 hour! The broth comes out perfectly – so flavorful and comforting. You can’t beat that!